Chest tightness as well as pains elsewhere in the body are among the most common heart attack symptoms in men. 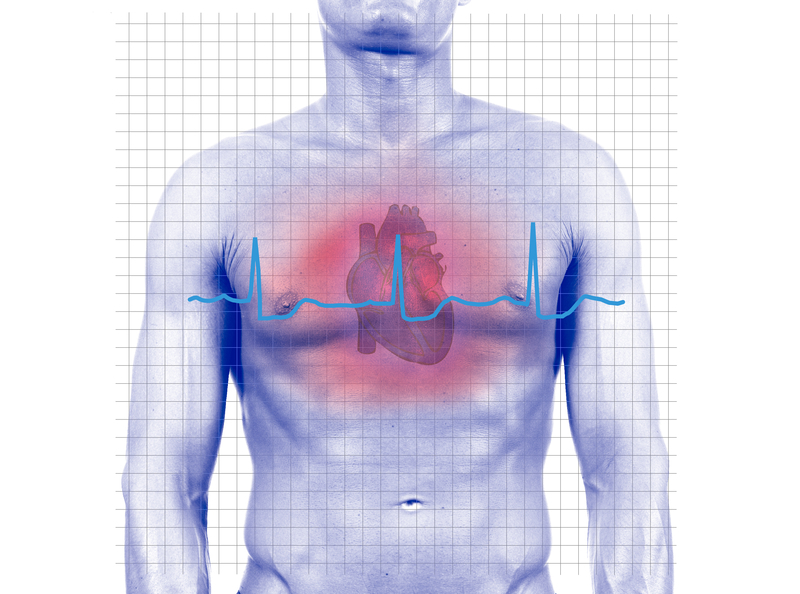 Heart attack symptoms in men vary, from cold sweats to chest pain to lightheadedness. Up until around age 55, men are much more likely than women to experience a heart attack. The gap gets smaller with advancing age, but men are still at a higher risk than women of suffering a heart attack. For that reason alone, it’s important that you recognize the common heart attack symptoms in men. Anxiety accompanied by a racing pulse. Among all of the possible signs of a heart attack in men, chest discomfort is by far the most stereotypical. It is among the most common heart attack symptoms. But the nature of chest pain can vary from one man to another. For some individuals, the sensation is of the heart being squeezed. It’s a tightness, as though your heart was in a vice, or like it had someone pulling a rope around it. Other heart attack survivors describe their symptoms as pressure on the chest. It may feel like someone or something was sitting right on the middle of your chest. In other cases, it’s an ache or a sharp pain. Some men even say the feeling was similar to the irritation experienced with heartburn after a spicy meal. After chest pain, the next most common heart attack warning signs are aches and pains elsewhere in the upper body. You might have pain running down one or both arms. You may also feel pain below your chest or up in your neck and jaw. With heart attacks in men, some report that these pains start in the chest and radiate outward. For others, however, there is little or no chest pain. But there might be pain elsewhere. It makes it difficult to self-diagnose, which is why men who experience some of these symptoms should seek emergency medical help. Also, chest pain and other signs of a heart attack in men may last for several minutes and then disappear. They may come and go—a very likely sign that something is wrong and should be evaluated. It’s one thing to be out of breath following an intense workout. But if you find yourself unable to catch your breath after only mild exertion or no exertion at all, you should pay attention. Of all the heart attack signs in men that don’t involve pain or pressure, shortness of breath is perhaps the one to be taken most seriously. Men who have had heart attacks say the feeling is like being extremely winded after a long run. If you find yourself in this situation, don’t panic. Instead, call 911 or have someone close to you make the call. The more vague signs of a heart attack in men include breaking out in a cold sweat, feeling sick to your stomach, or experiencing lightheadedness. The dizziness that might hit you may be so strong that you faint. You may not have any of these symptoms—or you may experience all of them, as well as chest pain and difficulty breathing. In the 2003 film Something’s Gotta Give, there are a couple of scenes in which Jack Nicholson’s character is convinced he’s having a heart attack. He’s panicking and his pulse is racing. It turns out to be an anxiety attack, but the confusion isn’t just something out of a movie. 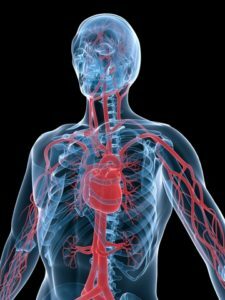 Men, even tough guys, can suddenly feel an overwhelming sense of anxiety during a heart attack. Sometimes thoughts turn to death, but there’s no obvious reason for these thoughts and feelings. Along with those anxious feelings, men may also find their pulse accelerating. The heart may skip a beat. By itself, a skipped beat could be harmless and not a heart attack symptom. But coupled with chest pain, shortness of breath and feelings of weakness, sudden changes in your pulse rate could indicate real trouble. The better you can recognize signs of heart problems, the more likely you’ll be to take them seriously if they ever appear—and to respond quickly. You may not experience all, or any, heart attack warning signs. However, f you suspect a heart attack, call paramedics and get to an emergency room quickly. Ask your doctor if chewing up an aspirin is advisable if heart attack symptoms develop. That’s a common first response, but clear it with your physician first. This is all vital information, especially if you have heart attack risk factors such as high cholesterol, smoking, obesity, a sedentary lifestyle, diabetes, and a family history of heart disease. If it turns out to be an anxiety attack, well, you can get treatment for that and be grateful your heart is still okay. And take preventative steps that include exercise, sufficient sleep, and a heart-healthy diet. Do women experience different heart attack symptoms than men? While they can experience many of the same symptoms discussed here, including chest pain, they’re also more likely than men to feel symptoms that may not seem related to the heart. a heart attack, aches and pains, acid reflux, aging, an anxiety attack, anxiety, anxiety attack, chest discomfort, chest pain, cholesterol, diabetes, diet, dizziness, exercise, faint, flu, having a heart attack, health, health news, healthy diet, heart attack, heart attack in men, heart attack in women, heart attack risk, heart attack risk factors, heart attack signs, heart attack symptoms, heart attack symptoms in men, heart attack symptoms in women, heart attack symptoms in women over 50, heart attack warning signs, heart attacks, heart attacks in men, heart disease, heart healthy, heart healthy diet, heart problems, heartburn, high cholesterol, history of heart disease, obesity, pain, pains, reflux, report, sedentary lifestyle, shortness of breath, signs of a heart attack, signs of a heart attack in men, signs of heart attack, signs of heart attack in women, signs of heart problems, sleep, smoking, symptoms of heart attack, university health news.